No matter how well a business does in online sales, until they have a 100 percent conversion rate or control 100 percent of the market share, there is always room for improvement. However, the longer a business has been selling products online, the harder it can be for small business owners to think up new strategies and tactics to boost their sales. It’s not uncommon for some marketers to be so set in whatever technique they started with, they find it difficult to change course and try new things. Though change can be scary, it’s a part of life and essential for the continued growth of a business. Here are five things that business owners can change to their ecommerce site to revitalize their sales. An interesting side effect of the internet age is that people aren’t very patient. Not only do they expect websites to load quickly, they expect the shopping process to be quick and easy. From the time the person decides on what product they want to buy, there should only be five steps at the most: Order Preview, Bill To, Ship To, Payment Module, Confirmation Page. 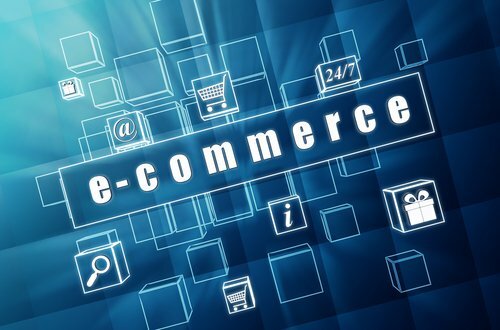 It’s even possible to consolidate some of these steps depending on the ecommerce platform. Adding anything beyond these basics slows everything down and can frustrate users. To illustrate, systems that require the user to enter their login information multiple times need to be adjusted. Every small annoyance gives the user a reason to consider abandoning their cart and going to a different site. It’s a good idea to write product descriptions in a way that makes them more shareable. While the statement “Solid Men’s Yellow Tee with Design on Back” may describe an item accurately, the description isn’t going to help sell the item nor encourage readers to share the page with their friends. For retailers, it helps to think about the reasons people would buy the product, the needs they need to fill, and the factors that should make them choose this product. These are elements that aren’t easily conveyed by an image so the product description needs to make that connection. Additionally, product descriptions should be optimized for the typical search queries that visitors will use. In the example used above, an essential search term was missing in the short description: shirt. There are multiple ways to ensure that product descriptions are searchable, such as taxonomies. For businesses that already have a well functioning site, the quickest way to boost profits is to diversify the sources of incoming traffic. Because most online shopping experiences start with a search engine, SEO will always be an essential part of any ecommerce strategy. But there are other sources for inbound traffic that can easily increase the reach of a site’s marketing effort. Internet ads and social media marketing are good places to start. And with the growing importance on mobile devices, getting ads on mobile platform can open the site to an entirely new audience. Assuming the site is mobile compatible, as will be discussed later. As the rise of Pinterest illustrates, imagery is what best motivates people to share and discuss things onlines. A simple way for businesses to improve their ecommerce sales is to improve the number and quality of images on the site. Even if a site already has good main images for each product, additional images with close up shots of designs and features can help sell the product. Similarly, including more shots with the product in action For example, clothing designers should include images of people wearing their items in a natural looking setting (e.g. wearing a dress at a social event) to accompany the stand alone product of item. A common mistake on ecommerce sites is they aren’t compatible for multiple platforms. For example, the biggest gains in web traffic are being seen in mobile devices like tablets and smartphones. In fact, according to Pew Research, 21 percent of U.S. adults say their mobile device is their primary way to access the internet. Ensuring mobile compatibility is essential for sites looking to the future. Additionally, it’s still important to remember that on desktop and laptops people use a wide variety of browsers. When desktop and mobile traffic is combined, Google Chrome is the most popular browser. Even so, Safari, Firefox, and Internet Explorer each account for 15 percent of web traffic. It’s vital to ensure that websites look are function correctly on all platforms. There are a lot of ways that small business owners can boost their ecommerce sales, so this is by no means an exhaustive list. The key to discovering these tactics is to avoid complacency. By reading up on consumer trends and getting professional assistance when necessary, small business owners can ensure that their ecommerce profits will continue to meet or exceed their current levels.